First of all, I apologize for not blogging in a very, very long time! However, I bring you very cool stuff this time. While scouring the internet for methods of cheaply decorating my apartment (without it looking like all the IKEA catalogue clones in NYC) I came across an interesting idea. IKEA “hacks” basically take IKEA’s stuff and modify it to make better stuff. For example, this Lampan lamp made from 12 of the little guys, making a glorious dodecahedron (but 3D) of light! There are many other hacks just like this, which require a simple trip to your local IKEA and some time. More details after the fold! Flexible Love is a piece of experiment furniture designed by Chishen Chiu, a talented young designer based out of Taiwan. Essentially, it is a “Flexible Loveseat,” made entirely out of recyclable paper and wood products, using pre-existing methods of production to be as environmentally friendly as possible. It is an amazing, accordion-like piece of furniture that is mind-blowing when you first see it. It comes in 4 different flavors, a 16 seater, a 12 seater, an 8 seater and a miniature version to impress your friends without breaking the bank. Incredible video demonstrating the fluid and organic nature of the piece and where you can buy it after the fold. Who knew stairs could be so pornographic? I came across this site and thought the idea was awesome and well executed. It is a website dedicated to stairs, and only stairs. Stairporn.org is a TypePad powered blog that exhibits the design side of stairs (not your average, boring, handrailed steps). It’s quite therapeutic to browse through the posts and aside from its namesake, there is nothing about this website that’s not safe for work. More of my favorite stairs after the fold. So my holy grail of watches is probably a Panerai Luminor Marina, but until I have a few grand burning a hole in my pocket, I won’t have one around my wrist. 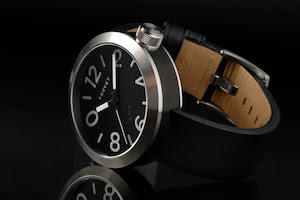 What I like about Panerai is the design inspiration drawn from old U-Boat watches. So you can imagine my delight when I ran across these Tsovet watches which have all the maritime nods without the pricetag. Tsovet was started by David Bonaventura, who also founded Vestal. Vestal is nothing special to me, pretty much like a rehashed Nixon, but it seems that Bonaventura got something right when he did Tsovet. While it still feels a bit contrived, I can’t deny the aesthetics of the watches. More pictures and where to order after the fold. Ever think that a documentary about a font could be interesting? Well, this one is. Helvetica, by Gary Hustwit, is a film about the font created by a little-known Swiss designer in 1957, which has become one of the most popular and ubiquitous methods of communication today. This documentary isn’t for the typical moviegoer who demands explosions, action and drama drenched in superficial emotion. I would say that it’s for the more sophisticated viewer, but that’s just pretentious. Personally, I found it very entertaining and informative and I would argue that seeing this film has made me now, more than ever, interested in all aspects of design and aesthetics. More information and where to watch it after the fold. With a simple twist, Hironao Tsuboi has transformed the standard incandescent lightbulb from something best covered up into a naked beauty. The appropriately named LampLamp looks like just a regular lightbulb, but is somehow lit while the clearly visible threading is not screwed into any power source. The mystery persists until you realize that there are actually two sets of connecting threads. Clear pictures of how it works and where you can buy it after the fold. More interior lighting goodness. This lamp is designed by Catherine Mui and consists of oakwood frames connected through a spine but able to rotate freely from each other along that axis. 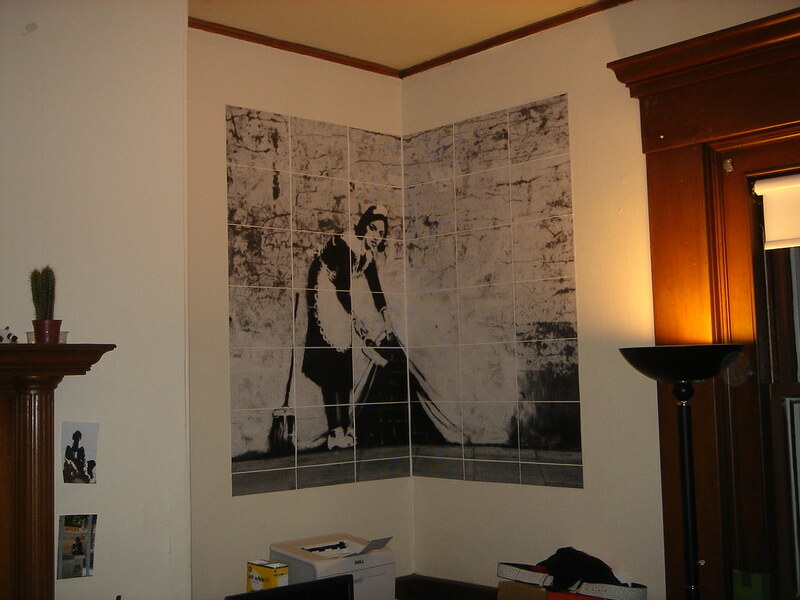 Depending on how much light you want, you can spread out the frames or line them up. Perfect for lighting up a small area, ambient lighting or just a conversation piece. Another view and where to buy after the fold. I’ve been interested in interior lighting lately, and there are some really awesome (albeit expensive) ways to brighten up a room. Consistently a best seller in the MOMA store, the Block Lamp, designed by Harri Koskinen, certainly fits the bill. Inspired by industrial glass bricks, the lamp is very simply a naked bulb encased in two hand cast blocks of glass. It won’t fill the room with sunlight (it only accomodates a 25-watt candelabra bulb which isn’t included), but it will definitely set the mood. I think my favorite part of the lamp is the cord, covered in woven red shielding to prevent damage to it and will certainly stand out from all the other cables cluttering up your room (also comes in white and black). More pictures and a link to purchase after the fold.